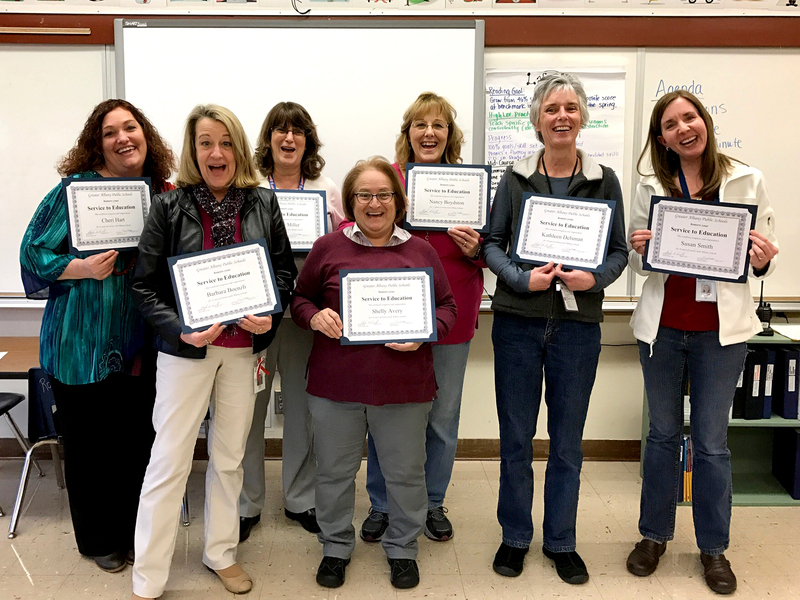 Lafayette Elementary would like to celebrate the years of service these wonderful teachers have given to our district. Your commitment to helping and guiding the children of Albany to become lifelong learners and citizens in our community is honorable. Thank You! 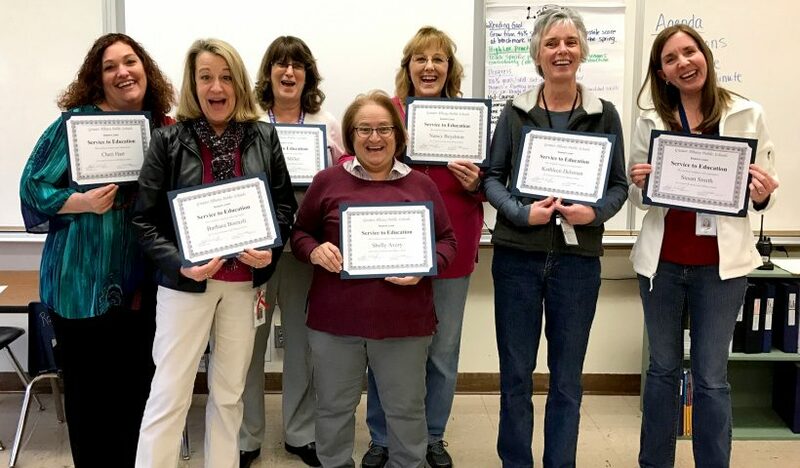 From Left to Right: Cheri Hart, 15 years; Barb Boenzli, 35 years; Cindy Miller, 20 years; Shelly Avery, 10 years; Nancy Boydston, 15 years; Kathleen Delsman, 10 years; Susan Smith, 10 years. Not pictured: Cindy Beebe, 15 years.